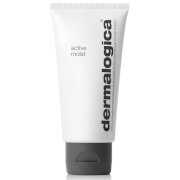 Skinactive14™ Intensive Day Cream goes beyond moisturisation. It has been specifically formulated to help protect, prevent and treat the 14 universal skin problems resulting from daily skin stress, ageing and dehydration. Skinactive14â„¢ Intensive Day Cream contains 5 concentrated cosmeceutical active ingredients that work synergistically so you get everything your skin needs in just one application. The result? Intense moisturising, anti-ageing and youth-boosting benefits for visibly younger looking skin.